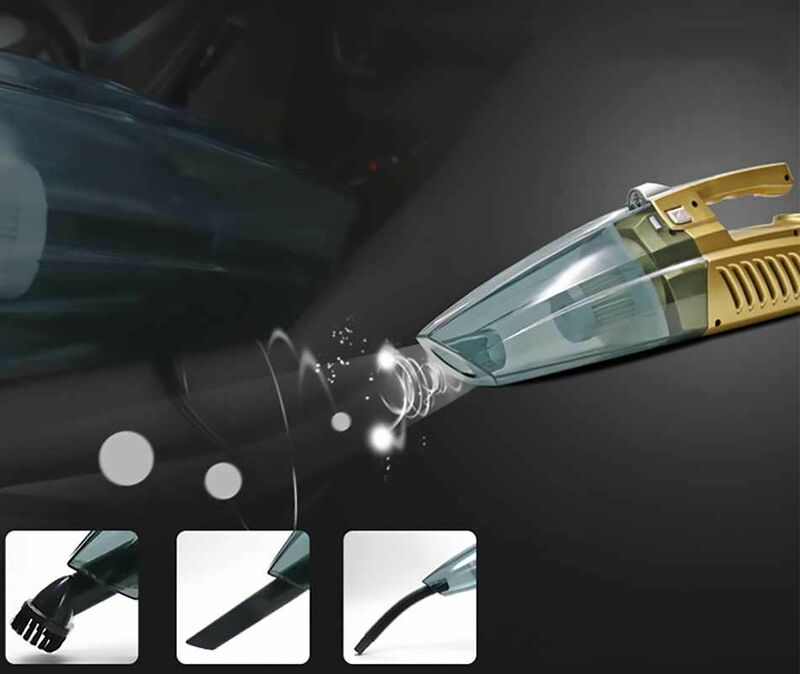 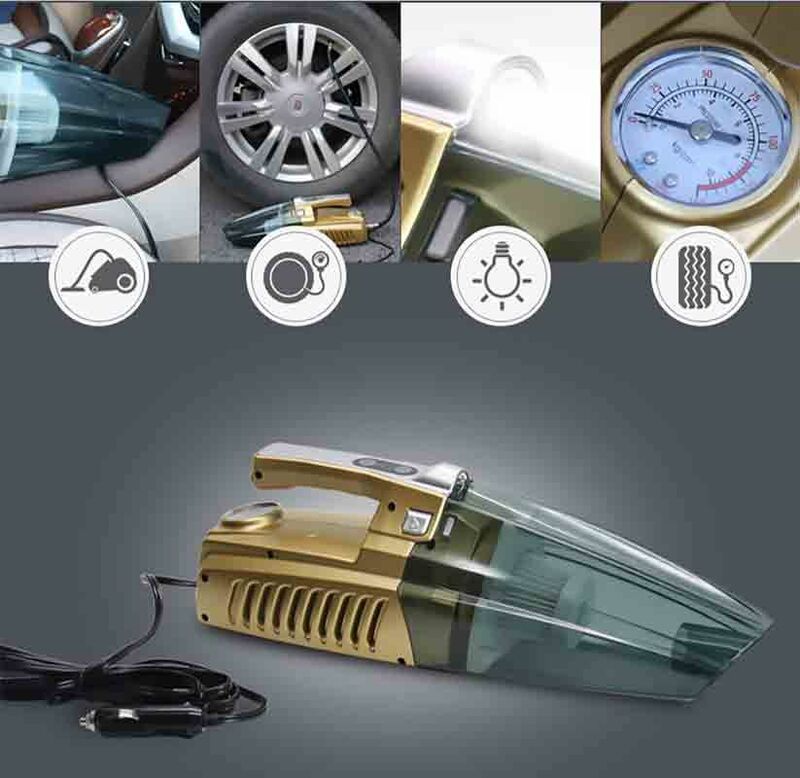 4 In 1 Function - Vacuuming,Inflated,Tire pressure gauge,Illumination. 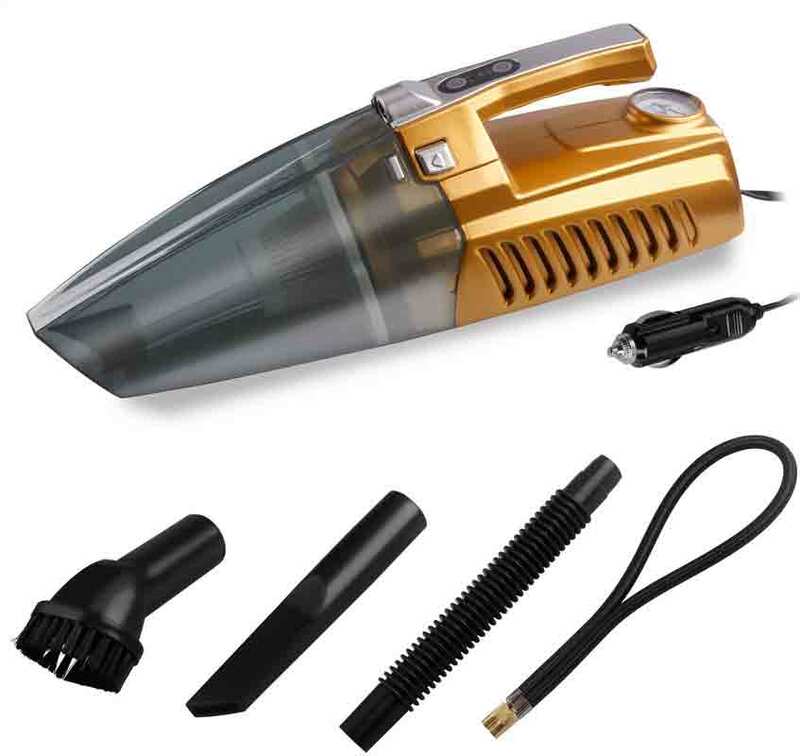 High Power Suction - best ideal tool to clean the dust, crumbs, pet hair,and other small mess in the car. 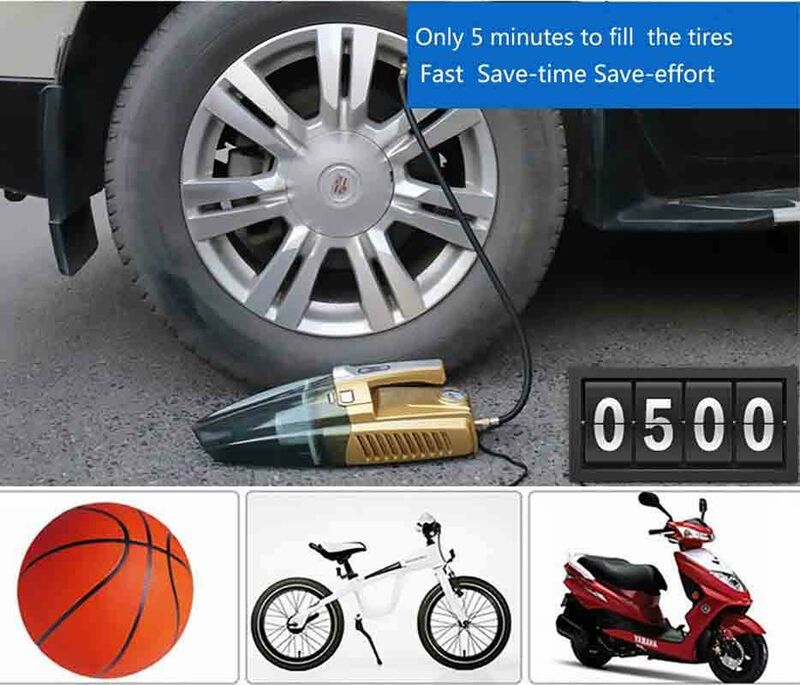 NEVER worry about your children and pets playing in the car. 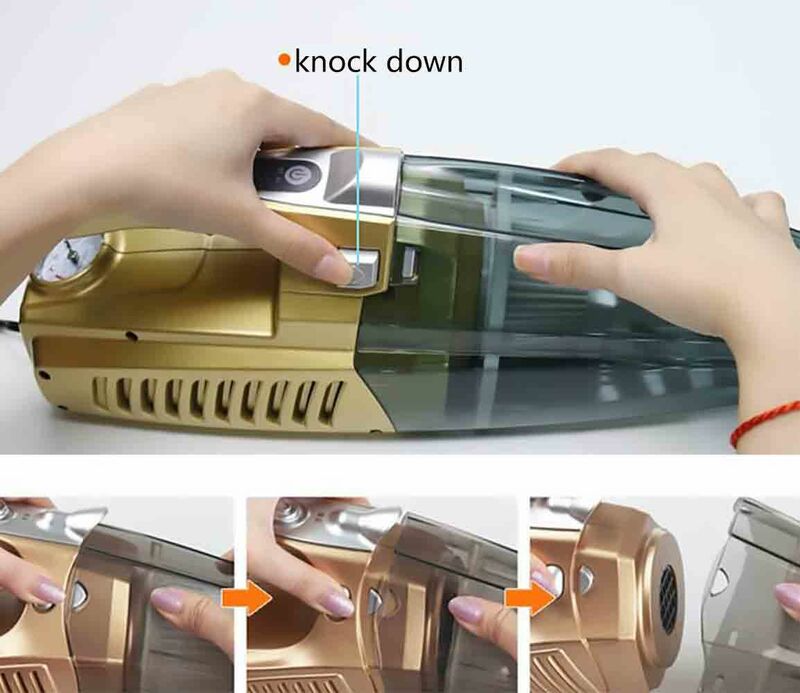 Heap Filter - reusable and One-Step Empty, do not need to change filers and spend any money more, just wash it by water, economic and environmentally friendly. 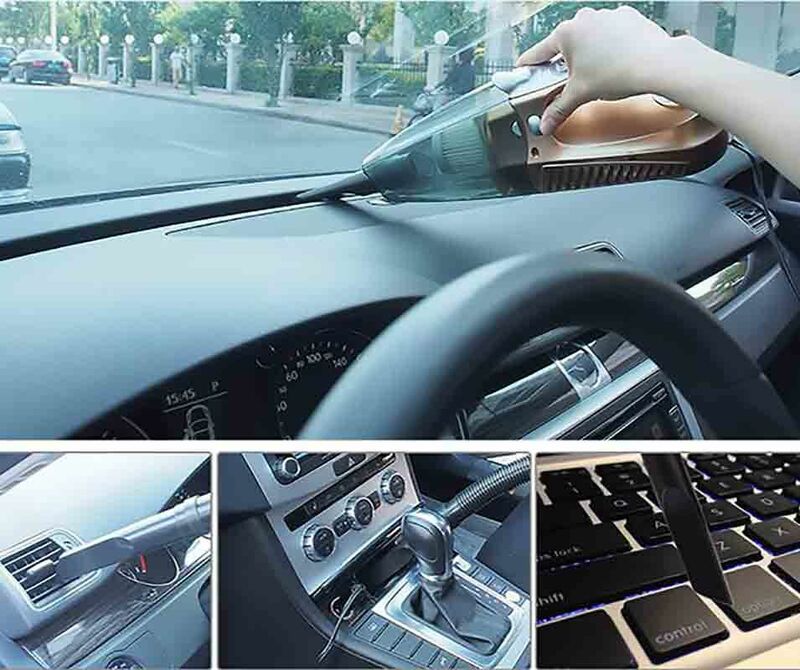 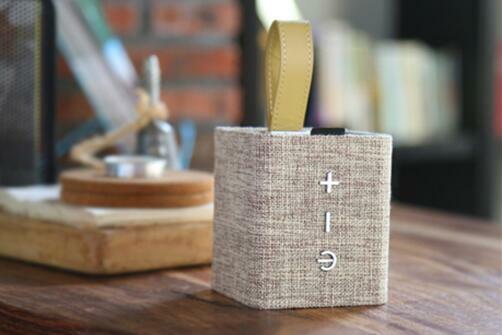 Wide Application - It is not only work well in Car Seat,Car Mats,Car Dashboard,but also your House,Sofa,Carpet,ect.